Charles Rainey, Connecticut (CT), Hawaii (HI), Nevada (NV), Pennsylvania (PA), WWE Studios Finance Corp.
What just happened in Nevada with the Eliminators Movie lawsuits? WWE Studios Finance Corp. Nevada attorney Charles Rainey just sent what appear to be unauthorized subpoenas to CenturyLink subscribers accused of downloading their “Eliminators” movie. The last time an attorney made such a mistake was in 2011, and that attorney (Evan Stone) got sanctioned for the same conduct. 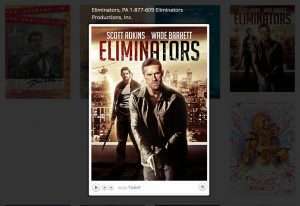 How did we know about the Eliminators movie lawsuit so early in the process? 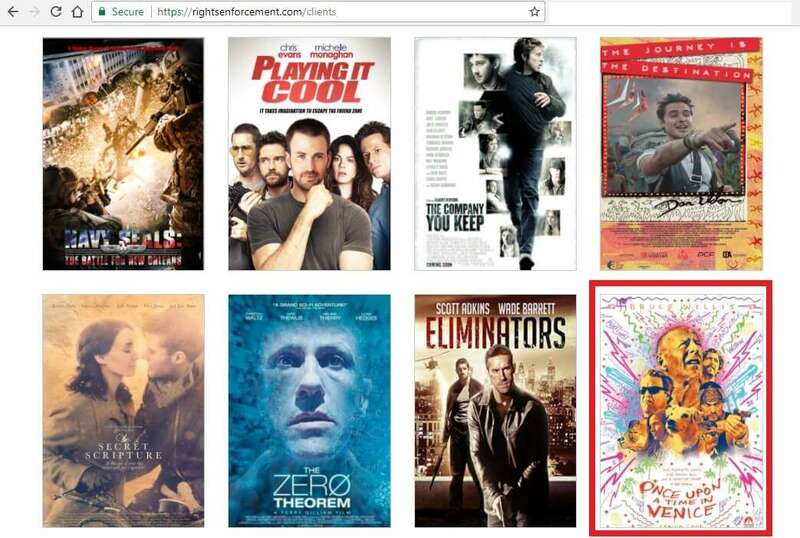 Last Friday in my RIGHTSENFORCEMENT (NEW MPAA MOVIE COMPANIES GONE COPYRIGHT TROLL) article, I provided a new list of movies which RIGHTSENFORCEMENT listed on their website as “new clients.” I predicted that they would soon be filing lawsuits based on these movies. That same day, my prediction came true (I wasn’t expecting lawsuits for the Eliminators movie for another few months, as this same ‘common troll’ entity is still focusing their efforts on the ME2 Productions (Mechanic:Resurrection movie) lawsuits, the Cook Productions (Mr. Church) lawsuits, and the I.T. Productions (I.T. 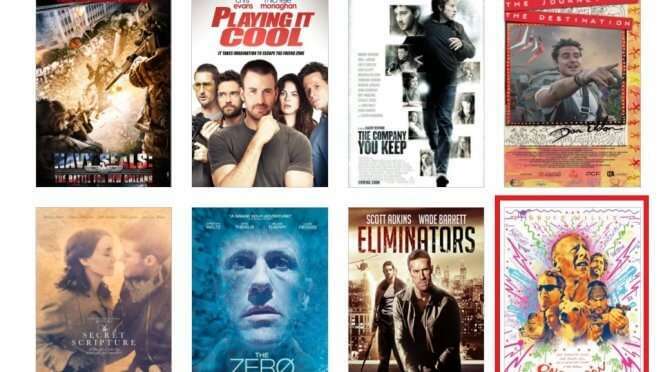 Movie) lawsuits). WWE Studios Finance Corp. [now joining the ranks of many shell entities suing on behalf of a ‘common troll‘ entity], just filed suit against a small group (under 100) John Doe Defendants in Connecticut (CT), Hawaii (HI), Pennsylvania (PA), and Nevada (NV). WHAT IS A ‘COMMON TROLL’ ENTITY? : A ‘common troll’ entity is one that contacts a movie production company for a failed movie (e.g., a “flopper”), and convinces it to license the rights to sue defendants who view their films without authorization (e.g., via bittorrent or Popcorn Time). That ‘common troll’ entity then sets up a shell corporation (or, enlists some other limited liability entity) masquerading as the copyright holder itself and sues defendants in federal court for copyright infringement on the copyright holder’s behalf. The purpose of this article, however, is not to discuss the WWE Studios Finance Corp. movie lawsuits, but to discuss their Nevada attorney, Charles Rainey of Hamrick & Evans, LLP (let’s hope they have some good malpractice insurance based on what I am about to share). Who is WWE Studios’ plaintiff attorney Charles Rainey? Charles Rainey is the plaintiff attorney / copyright troll attorney filing all of the WWE Studios Finance Corp. (Eliminators movie) lawsuits on behalf of his ‘common troll‘ (Guardaley / MPAA) client. I was looking at the docket for his WWE Studios Finance Corp. v. John and Jane Does (Case No. 2:17-cv-00899) case, and it occurred to me that Charles Rainey sent subpoenas out to CenturyLink subscribers WITHOUT AUTHORIZATION FROM THE JUDGE. What is your proof that this sanctionable conduct occurred? 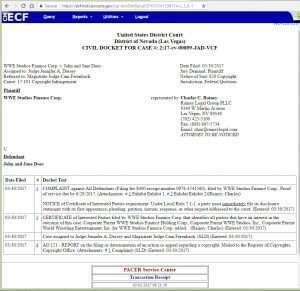 Here is a copy of the court’s docket — you’ll notice NO AUTHORIZATION from Nevada Magistrate Judge Cam Ferenbach giving him permission to send the subpoenas, and sending subpoenas without explicit authorization to do so can land the copyright troll attorney with SANCTIONS from the court. What support do you have that sending subpoenas to ISPs without court authorization is sanctionable conduct? If you are an attorney and you were practicing back in 2011 (or if you were following cases even back then), you might remember the last time an attorney did that. Does the name Evan Stone out of Dallas, TX sound familiar to you? Read about what happened to copyright troll Evan Stone when he did the same thing. Can you complain to the judge on our behalf as our attorney? Yes. Now obviously, Nevada District Magistrate Judge Cam Ferenbach (and Nevada District Judge Jennifer A. Dorsey) likely do not yet know that Charles Rainey had the chutzpah (using the language from the Evan Stone sanctions) to subpoena the names of the defendants without their authorization. But now they will know about it, and if you are a WWE Studios Finance Corp. v. John and Jane Does Defendant, you should certainly complain about this because Charles Rainey is not yet entitled to know who you are. What is your opinion about sanctions, and would $10,000 sanctions be appropriate? As an attorney, I don’t like seeing any attorney get sanctioned. However, copyright trolls and their attorneys engage in what is known as an abuse of process, or more easily said, an abuse of the court’s resources. They pay the court one $400 fee to file the case against multiple defendants, and they cost the judge many months of time adjudicating the case when in reality, they are using the lawsuit as a mechanism to shake down John Doe defendants accused of unlawfully viewing their client’s movies. When calculating sanctions, such a calculation should be commensurate with the amount of money that attorney has unlawfully collected through his scheme (and I wouldn’t find it objectionable to expand the scope of the sanctions investigation into other settlement amounts received on behalf of the same copyright troll ‘common troll’ entity filed in this same court). In the case of Evan Stone, he collected tens (possibly hundreds) of settlements at $2,500 per settlement, and that is why I thought $10,000 sanctions against Evan Stone was inappropriately low — it only amounted to FOUR settlements. Here with this WWE Studios Finance Corp. entity (and more particularly, the ‘common troll’ entity behind the scenes and in the shadows), settlement amounts are significantly higher than in 2011 when Evan Stone filed his lawsuits in the Dallas, TX federal courts. This same entity filing this “Eliminators” movie lawsuit also is also filing the ME2 Productions (Mechanic:Resurrection movie) lawsuits, the Cook Productions (Mr. Church) lawsuits, the I.T. Productions (I.T. 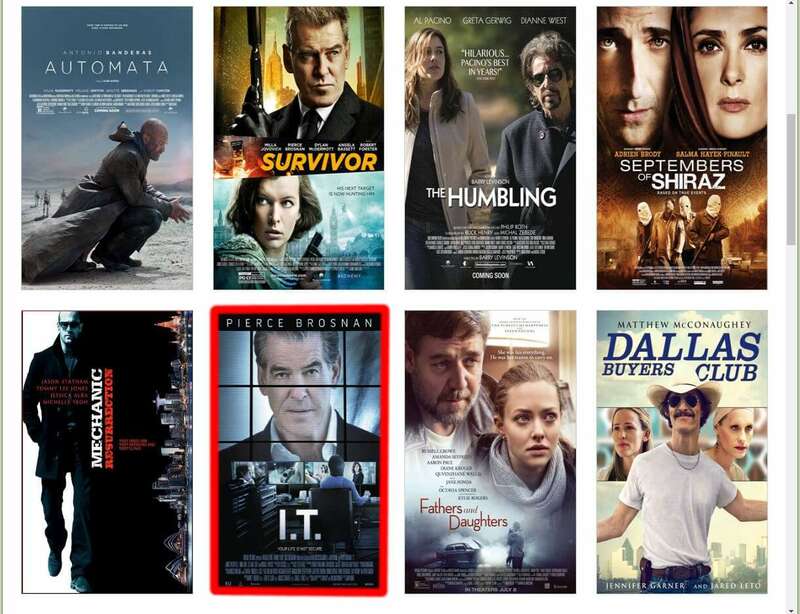 Movie) lawsuits, and has also filed hundreds of others over that past five years. From this history, we already know that settlement amounts solicited can be as low as $3,500, and as high as $8,000. Thus, if the court decided to sanction Rainey for this same conduct that the Texas Northern District Court sanctioned Evan Stone in 2011, it should be commensurate with the settlement amounts Charles Rainey is soliciting and bringing in for his ‘common troll’ client. Plus, we are six years and literally 6,000+ copyright troll cases after the Evan Stone cases were filed, where copyright trolling and the process of obtaining early discovery from the court is well known. Thus, any attorney who sends subpoenas to ISP [without authorization from the court] forcing them to disclose the identities of their subscribers should know better. FOR IMMEDIATE CONTACT WITH AN ATTORNEY: Click here for more general information about WWE Studios Finance Corp. lawsuits (I will be creating the page shortly), their known tactics, and their strategies. 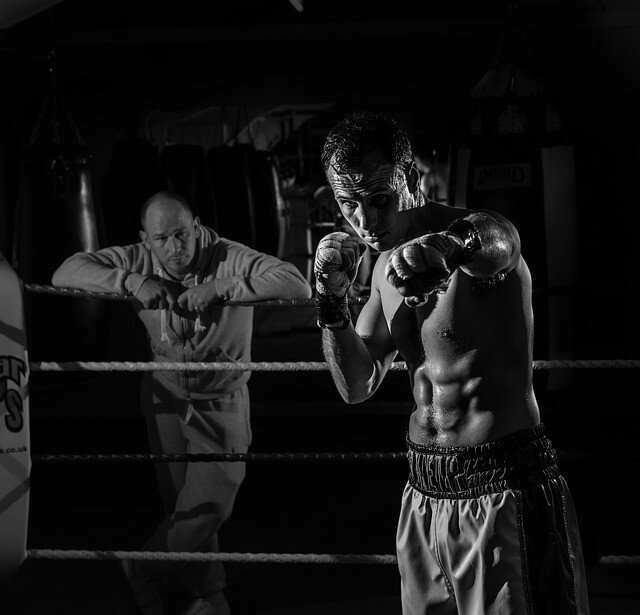 To set up a free consultation to speak to an attorney about your WWE Studios Finance Corp. lawsuit, click here. Lastly, please feel free to e-mail me at [email protected], or call 713-364-3476 to speak to me now about your case (I do prefer you read the articles first), or to get your questions answered. Charles RaineyNevada District Judge Jennifer A. DorseyNevada Magistrate Judge Cam FerenbachWWE Studios Finance Corp.